With the rise of mobile computing devices in recent years, there's also been an explosion of interest in and documentation about mobile tools like eBay's iPhone app, growing by leaps and bounds every year. But what about Mac? Is eBay software compatible? After all, Mac is the one traditional desktop or laptop computing platform that is growing rather than shrinking. Today an increasing number of the most serious online workers of all stripes are Mac users. Where are the Mac tools and what is the possibility of running an eBay business, or at least making a serious go of eBay selling, while using a Mac? Here's what you need to know. Yes, you can get eBay extensions and add-ons for Safari. The days when eBay's browser add-on was limited to Internet Explorer and Firefox are now long gone. 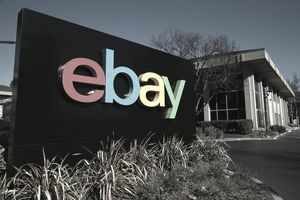 Visit eBay's Desktop and mobile tools page for links to download and install the eBay extension for Apple's Safari web browser, which is a good match for eBay's extensions for other browsers. If, on the other hand, you want access to a greater number of community tools such as those from the Firefox or Google Chrome platforms, you can have those, too—simply download and install Firefox or Chrome for Mac, then launch the respective browser you've chosen and visit the extensions library. In Firefox: Select Tools » Add-ons and search for "eBay" to find a variety of Firefox extensions related to eBay. In Chrome: Select Window » Extensions to open the extensions dialog in a new tab, then scroll to the bottom and click on Get more extensions. Then, in the search box that appears, type "eBay" to find a variety of Chrome extensions related to eBay. Launch Safari. Start the Safari web browser just as you would if you were going to visit a website of any kind, either by clicking on the Safari icon on your dock (if it's there) or by visiting your Applications folder and selecting the Safari icon. Open the Preferences dialog. With the Safari browser active, select Safari » Preferences to open the preferences dialog box for the Safari web browser. Select another browser. Use the "Default web browser" drop-down box to choose an alternative to Safari to be your default Mac OS web browser. Even if Safari isn't your thing and the eBay.com Safari extension not what you were looking for, by following these steps you can have at your fingertips many of the same browser tools that Windows-based eBay users have available to them. Turbo Lister has been around for a long time, was developed by eBay and remains a perennial favorite amongst that "middle class" of eBay sellers who are neither simply budding, tiny businesses nor corporate behemoths using eBay for liquidations and off-lease sales. In short, for a long time, eBay's Turbo Lister was a tool for just about everyone. Unfortunately, Turbo Lister is also only available for Windows. There are two ways to work around this, each preferred by a different cross-section of Mac OS users. Workaround 1: Use a commercial virtual PC tool like the popular Parallels for Mac or a free virtual PC tool like VMWare Player or VirtualBox to install and run Windows software like Turbo Lister. By going this route, you'll be able to use Turbo Lister alongside your regular Mac OS apps on your everyday desktop. The downside is that for either product you'll need a Windows license. In other words, you'll need to have purchased a copy of the Windows operating system that you can install on the virtual PC. Still, for many users this is the method of choice when it comes to the need for bulk listing and listing management tools on Mac OS, since there are many tutorials out there already for Turbo Lister and since Turbo Lister is what a lot of Mac sellers know, having used it first in their "Windows days" before having switched to Mac OS. Workaround 2: Use one of the generally excellent alternatives to Turbo Lister for Mac OS. This option is the better one for many sellers since native Mac OS applications are generally faster, more stable, more simple and more user-friendly than the combination of a virtual PC, Windows operating system and Turbo Lister all running on a Mac. There are two major software applications that do for Mac users essentially what Turbo Lister does for Windows users, though they aren't developed by eBay, and as commercial software, they do require a modest investment by the seller. GarageSale is a polished and feature-complete Mac OS bulk listing and listing management tool, supporting all of eBay's current listing upgrades and formats, adding support for free timed listings (which eBay charges $0.10 per listing for) and including a fabulous preview tool and set of templates to make listing and monitoring listings not just a breeze for the seller but also visually and aesthetically appealing to the buyer. GarageSale is accessible from the Apple App Store. HammerTap, one of the most popular market research tools used by online sellers, is regrettably a Windows-only application in its native form, so Mac users wanting to use HammerTap to its fullest will need to go the virtual PC route described above to make HammerTap function as usual in Mac OS. Use HammerTap online. A less functional, but still good, version of HammerTap can be accessed through your login at the HammerTap website. Use Terapeak instead of HammerTap. Since Terapeak is an entirely online service, Mac users can access the full version of TeraPeak in precisely the same way that Windows users do. Use other research tools from eBay. Of course, HammerTap and Terapeak aren't the only choices that you have. Less powerful but free options from eBay include Listing Analytics, eBay Pulse, and the Niche Market Finder. As it turns out, most of the other tools in common use by eBay sellers are either available in Mac versions or are simply based online and accessible from any web browser, meaning that if you've gotten this far with your Mac, you're ready to go as a Mac-based eBay seller.